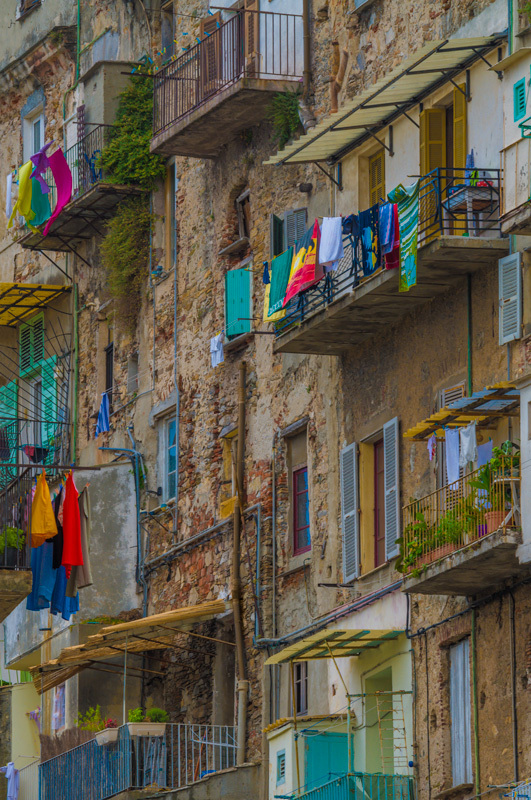 Original photo of laundry being hung out to dry on the balconies of old rustic apartments. I have started an Etsy shop where you will now find my fine art photography. While growing up, I learned how to paint throughout high school but it was photography that I fell in love with. For many years, I’ve often wondered what my photographs would look like as a paintings. It is now possible for me to create them as what appears to be painted works of art. But I didn’t stop there. I thought about what application these images would be used in and how many homes and offices with limited budgets need access to art that fits within a budget. I am currently offering this art as downloadable printable files that you can print or have printed yourself at a professional printer. For the home or office decorator, it can be a very difficult task to find just the right image for a wall. You don’t just decide based on the wall color. What type of furniture, the mood of the office, and more can help determine what hangs. Decorators can fairly easily find the right image but it’s the wrong color. Here’s where I come in. I offer up to eight different styles of the same image for you to choose from! They range from photo realistic; looks like it was painted with a detail brush and almost looks like the original photo. 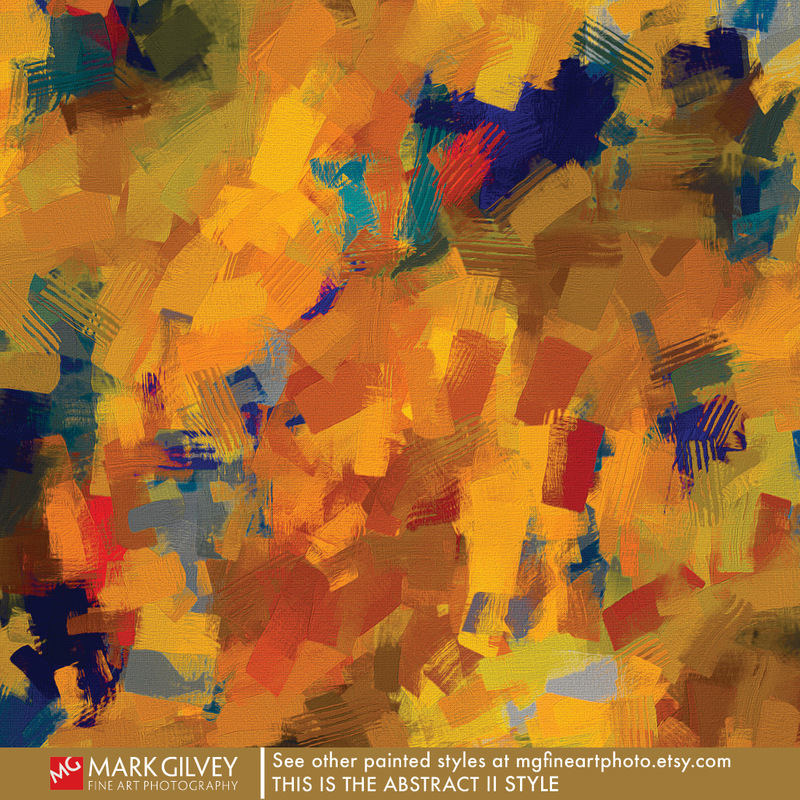 Impressionistic, liquid brush style, muted sketch (looks kind of like charcoal), and even abstract like you see above. The best part, the price is VERY modest. Now you can decorate a home or an office with beautiful images. As you would expect, they are for personal use only. If you would like to use them in a commercial way, please contact me for licensing. Check out my full portfolio on mgfineartphoto.etsy.com.